Creating a sense of community is important to developing well-rounded students. We are proud to host our annual Law and Order Day with the Downtown Area Command. This helps our students build a relationship of trust with the men and women who protect and serve us each day. Famous for its colossal casinos, world-class entertainment venues, and extravagant life styles, the City of Las Vegas has a larger-than-life reputation. But did you know that there is abundant natural beauty, a fascinating history, and myriad things to do just a stone’s throw from the neon and flashing lights? For the retro gamer: Pinball Hall of Fame. Empty out the change bowl, and bring a pocket full of quarters to get in on some good old-fashioned pinball action. Even better, this non-profit collector’s group donates all their proceeds to charity, so you can play your heart out for a great cause! For the star-struck: Gold and Silver Pawn Shop. Check out the pawn shop made famous by the Discovery Channel’s Pawn Stars TV program. Got an item to unload? Bring it with you; you just might be able to meet one of the stars. Also, be sure to pack plenty of patience—you’ll need it while you wait in line to get in. For the wiggly ones: Playgrounds! Bring the littles to Exploration Park in the southwest part of town. This park offers an old western town vibe with playground play structures, old-fashioned seesaws, swings, walking trails, and plenty of shaded picnic tables. Downtown Container Park offers a little something for everyone in the family. Check out the unique shops and restaurants, and let the kiddos run and play on the treehouse-style playground while you take a break. You’ll find Town Square just south of the Strip on Las Vegas Blvd. There’s shopping and food to boot; but the best part is that the kids can cool off at the splash pad, climb up the play structures, and lose themselves in a maze. Less than 20 miles from all the neon and noise sits Red Rock Canyon featuring unique geologic features and an up-close view of the flora and fauna only seen in the Mojave Desert. 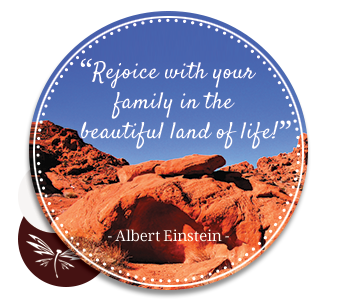 Just west of downtown, you can take a relaxing walk through botanical garden trails, then head on over to the playground or Origen Museum for some indoor fun and exhibits about southern Nevada.